Those of who who have spent some time digging around on my blog know that while I don't like to mix my crochet life and personal life too much, there are a few topics I do dedicate some blogging time to. One of them is arthritis. I was diagnosed in 2007 with rheumatiod arthritis (RA). Unlike a lot of the other varieties of arthritis out there, RA can affect anyone, at any age, regardless of physical conditioning. 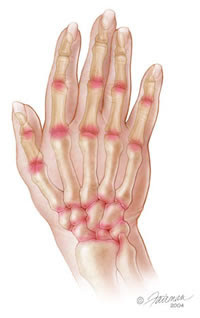 RA is an autoimmune disease -- in other words, the cells that are supposed to protect me from getting sick (or give me an immunity) are tricked into attacking my own healthy cells -- namely, the tissue around my joints. The end result is inflammation, tissue damage, pain, swelling... you get the idea. I'm lucky. RA has changed some of the things I like to do, but so far it has not made a terrible impact on my life. One of the changes I have made is in my taste in fiber projects. I was always an afghan/sweater person, but it seemed that RA was making those kinds of projects harder for me to complete -- so I switched to amigurumi. I guess that you could say that without RA, there might not even be an Itsy Bitsy Spider! OK, OK... get to the point. Next weekend, I'm participating in the fall walk hosted by the Cleveland Chapter of The Arthritis Foundation -- and I'm asking for your support. I'm not necessarily asking for money (although, I welcome any and all donations toward this cause). What I'm asking you for is awareness. Google Rheumatoid Arthritis. Learn one new fact about it. If you know someone who suffers from RA (or any arthritis for that matter), give them a helping hand or just let them know you care. Thanks for letting me go off topic a little this morning on this issue that is so important to me. And don't forget, there is still time to crochet along with me in the Pumpkin Patch Crochet-Along. Get all your details here! P.S If you would like to help sponsor me in the Arthritis Walk, you can use this link to go to my donations page. Thank you! That's a funny thing about crochet, CMC. My grandmother also had RA and she used to crochet like crazy (along with doing MANY MANY other crafts). She used to tell me that the crochet helped her hands from getting too stiff. Now, I TOTALLY understand what she meant!